ZOA developed guidelines for staff, implementing partners and other actors who are working on land issues in post-conflict and post-disaster contexts (or consider doing so). 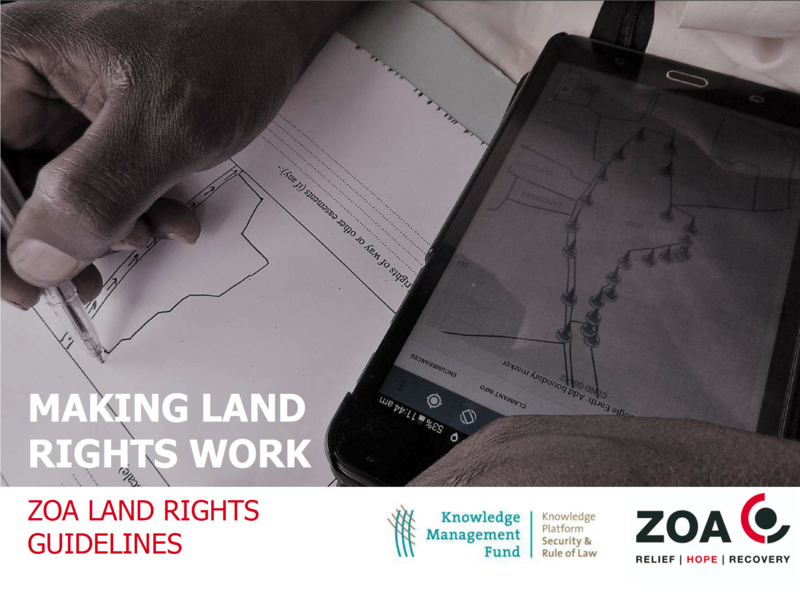 These guidelines are based on ZOA’s experience in working with land rights in the African Great Lakes region, studies done by current and previous partners and take into account global land rights standards. Central chapters in the guidelines discuss how to start a land rights project and available tools. Please find a copy of the document attached.